You find me refreshed and rejuvenated following the two week Easter Holiday from school. I really enjoyed time with family, days out and a chance at last, to get out on the garden. One of the highlights was buying bags of farmyard manure then leaving them to ripen in the sunshine in my Dad's car! Whoops! The veg patch has now been made glamorous and is ready to start producing. I am very proud of my newly constructed pathways and amazed at my new found ability to use a handsaw! The muck is now spread and all I need to complete the venture are some baby plants...I had better get sowing seeds pretty sharpish if I want any early summer harvesting. I did manage to finish a book over the holidays too. 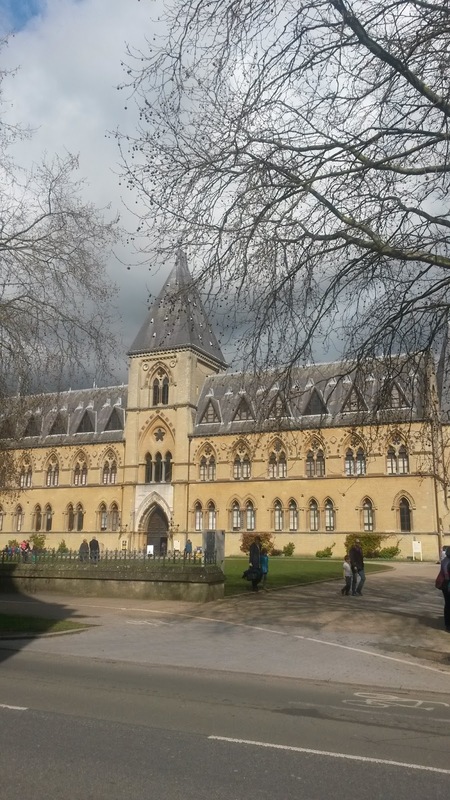 This was achieved during a very indulgent and civilised day out at the Oxford Literary Festival. I was deliberately antisocial (sorry reading friends), and decided to have a day all to myself. I took the train and used the hour's journey to read uninterrupted. I then mooched around the city and found myself in the covered market where I had a lovely lunch of goats cheese and fig chutney baguette followed by granola flapjack in the quirky little Oxford Cafe with comfy leather chairs. Indeed, as a day out, it was highly comparable with my Faber and Faber day back in February. 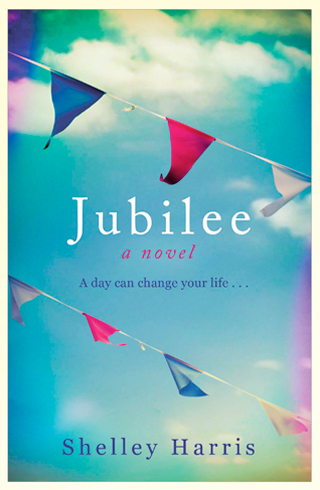 And it is Shelley Harris's novel, Jubilee, that I completed whilst on the train home from Oxford. Some of you will remember that Shelley was the course tutor at Faber. Her teaching on creative writing was fun, practical and inspiring, so I was curious to read her published fiction. Shelley Harris captures the era well. Children roam one another's houses and play in the street in a way that seems to have been lost to virtual entertainment. Satish is marked out as different. In 1977, multiculturalism was an ideology not widely recognised and suspicion could be marked in small communities. And it is this tension that is at the heart of the novel. Satish, presented as a 12 year old, is working very hard to assimilate himself with his English friends and adopt their mannerisms in order to render himself one of the crowd. He achieves this with limited success, dependent on the good will of Cai and Mandy. The Chandler brothers used him as an object of ridicule and it is clear from the pragmatics of the conversations between the adults, that Satish's parents are merely tolerated beneath a veneer of ugly English politeness. And so when an email arrives in Dr Satish Patel's inbox, 30 years after the jubilee street party, to suggest a reunion photograph, he is very reluctant. This reluctance provides the main plot strand, and as we learn more of his contemporary life as a cardiothorasic pediatric doctor, we also have a door open to his past. The events of Jubilee Day unfold slowly as current pressures force him to recollect things he had wanted to keep hidden. He hides the truth from his wife as we recognise that this is an aspect of his life that he has never shared with anyone. The destructive force of secrecy and concealment spills over into his professional and personal lives, threatening to destabilise everything he has built up for himself. Shelley Harris conveys childhood well. The relationship between Satish and Mandy has a delicious naivety about it as well as the ring of authenticity. Mandy was the only one who fully accepted Satish, but in doing so, she knew she was entering dangerous territory. These unformed feelings of youth are captured in the writing. Indeed, I liked the childhood depiction best. The adult Satish was conflicted and confused, but I never fully bought into his increasing dependence on diazepam. Its function as a plot device is evident; the trauma of being forced to face the humiliations and prejudices of his past is very real. His silence is real and thus anxiety is almost inevitable as he allows himself no outlet for his fears. Despite the logic of the plot line, I was never totally convinced by this aspect of the novel. That said, it was an enjoyable read. Picked by Radio 4 as their Book at Bedtime in 2012, it clearly shares an erudite audience. As I read, I couldn't help but recall the author telling us at her course back in February, about how she had totally restructured the book, and had moments filled with rolls of printed manuscript covered with colour coded post-it notes as she fathomed plot twists and character development. This window into a writer's world was fun and a challenge I have yet to fully embrace. Meeting Joanne Harris (no relation to Shelley is presumed) at the Oxford Literary Festival is another moment of great inspiration and barely concealed adoration! But more of that when I review her yet-to-be-published-but-I-have-a-signed-copy-of Different Class! My next blog will be on the weight tome, All The Light We Cannot See by Anthony Doerr.